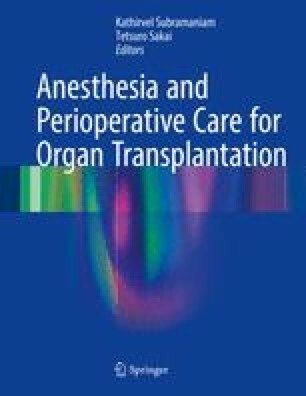 Cardiac transplantation is an established modality of treatment for many patients with end-stage heart failure (HF) with severely impaired functional capacity. These patients have a poor quality of life and/or an estimated life expectancy of less than 18 months with medical therapy. Understanding HF pathophysiology, the medical and surgical treatment of HF patients, and perioperative management are essential to optimize the outcomes from this lifesaving procedure. http://www.ishlt.org/ContentDocuments/ProceedIITrialResultsPressReleaseFINAL.pdf. Accessed 04 Jun 2015.